Mistblowers Archivi « Darin s.r.l. 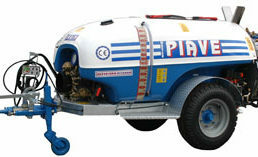 Georgia Tangential Sprayer is the most versatile of our range and can be used as a ATOMISER/SPRAYER (normal distribution) and as a NEBULIZER (concentrate distribution). An air distribution regulating system allows to obtain a uniform dusting of all the leaves with any training method for vineyards and orchards. A newly developed adjustable blade propeller ensures an uniform air distribution. 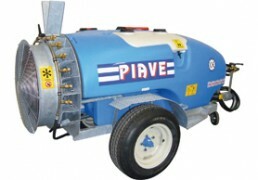 Piave Eco-Lia Sprayer, an air distribution regulating system that allows uniform dusting of all the leaves, without giving up the ease of use of trailed models in unfavorable conditions. 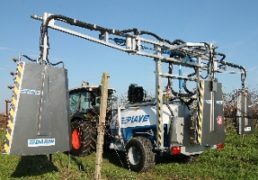 Piave Eurocompact atomizer sprayer, thanks to an air distribution regulating system, it is possible to obtain an uniform dusting of all the leaves, without giving up the ease of use of trailed models in unfavorable conditions. 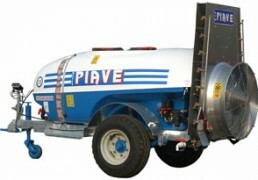 Piave Eurocompact sprayer is a versatile and robust sprayer. A newly developed adjustable blade fan allows a homogeneous air distribution. The conveying unit, the mixing and the parts subject to wear are supplied in stainless steel to guarantee good durability. 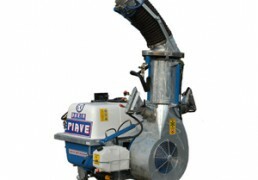 Piave Ghibli tall Trees Sprayers is the ideal machine for the treatment of tall tree crops. It has been designed by Darin specialists with great experience in the care and prevention of treatments of plant diseases such as vines, olive trees, fruit trees and tall trees. 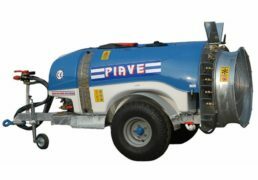 Piave Lia Cannon Sprayer is the ideal machine for the treatment of tall tree or high trained crops, without giving up the ease of use of trailed models in unfavorable conditions. Darin Srl Producer and direct distributor. 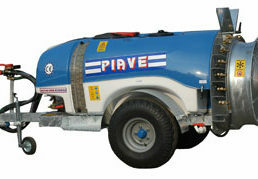 Piave Polycompact Sprayers the peculiarity of the POLYCOMPACT sprayer is the tank: high density polyethylene; a material that has all the characteristics to be appreciated: non-toxic, hygienic, resistant, elastic and easy to be cleaned. Like all our machines, it is designed in compliance with the standards (EC). 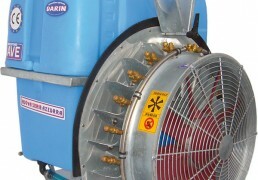 Darin Srl Manufacturer and Direct Distributor. 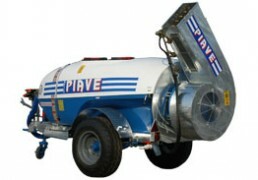 Piave Atomizer Sprayer, GEORGIA is the most versatile in our range and can be used as an ATOMIZER (normal distribution) and as a SPRAYER (concentrate distribution). Regulation of the air distribution system allows uniform dusting of all the leaves with any training method for vineyards and orchards. A new concept adjustable blade propeller ensures even air distribution.